We consider the stability of a system of two strongly coupled wave equations by means of only one boundary feedback. We show that the stability of the system depends in a very complex way on all of the involved factors such as the type of coupling, the hidden regularity and the accordance of boundary conditions. We first show that the system is uniformly exponentially stable if the undamped equation has Dirichlet boundary condition, while it is only polynomially stable if the undamped equation is subject to Neumann boundary condition. 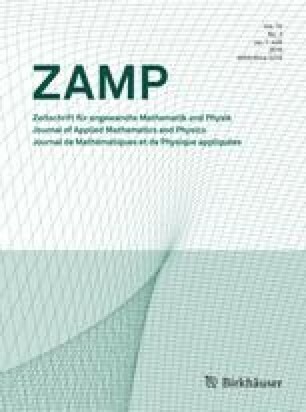 Next, by a spectral approach, we show that this sensitivity of stability with respect to the boundary conditions on the undamped equation is intrinsically linked with the transmission of the vibration as well as the dissipation between the equations. The author would like to thank the referees for their very valuable comments.